Friday has arrived once more – although given how mixed up this week was, I’m almost not sure exactly what day it is… But the calendar tells me that it’s Friday and so without further ado, I’ll get right down to it! Sometime in the middle of the night on Tuesday, everything falling from the sky turned into snow and when I woke up on Wednesday everything was covered in the white stuff. The snow was wet and heavy and continued to fall all day Wednesday. While the snow blanketing everything certainly makes it look pretty – I’m just ready for warmer weather and some Spring flowers! Two. Weekend Plans – For the first time in two weeks, I have 0 weekend plans. No movies to see, no outings into DC, no girls night (or late afternoon as it were…) – not a single plan. A part of me is really excited about that and a part of me is wondering what I’ll do with all the free time. One thing I do know is that I am so looking forward to having the opportunity to just lie in the bed on Saturday morning! Three. Perfectly Posh Spring Sale – Perfectly Posh is celebrating the arrival of Spring with a sale! Several of Posh’s pampering products are on sale and now is the perfect time to stock up! Some of MY personal favorites are on sale too! I love Buff Around the Edges body polish; the prickly pear cactus scent is light and the exfoliation is thorough but gentle. Muscle Through is great for sprinkling into your bath after a day of … well for me, snow shoveling, ha-ha! The bath salts have magnesium to soothe and relax tired muscles. I’ve also heard rave reviews about Fake It Til You Make It and Impish Eyes! Four. National Puppy Day – Today is National Puppy Day ya’ll! And I think I have just about the best puppy in the world, so of course I had to share another picture with you! This little guy is sweet and cuddly, a little bit mischievous and has more personality in his tail than most people have in their whole body. He’s been adding joy to my life for NINE years now and I hope he’s going to be around for many more! Five. Baseball is (almost) Back – That’s right folks; this time next week the 2018 baseball season will be underway and I am SO excited! Opening Day is Thursday, March 29th – the earliest it’s been in…maybe ever? Friday will be an off day and then the season really gets rolling! The Nationals start their season in Cincinnati and stop in Atlanta before heading home to take on the Mets, the Braves and the Rockies. My first game is on Friday the 13th and I am counting down the days! The 2018 season should be filled with excitement – we have the 4th best pitching rotation in the league (so says MLB.com), several up and comers that are looking for a chance to shine and Davey Martinez has stepped in as the new manager. 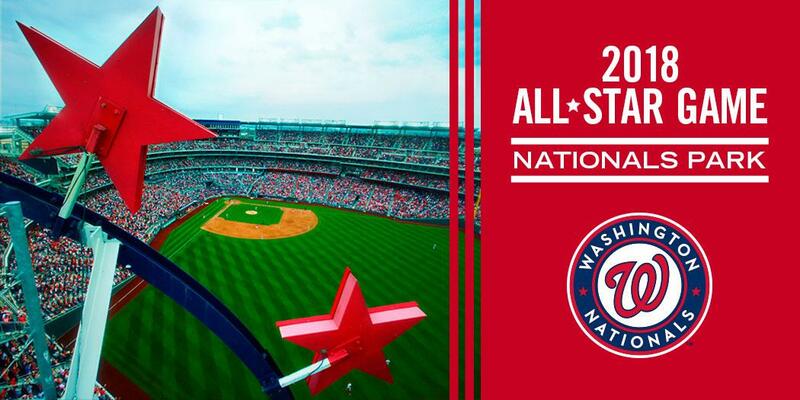 DC is hosting the All-Star game this year and I just can’t wait for baseball to be back under way! That’s all I’ve got for this edition of Five on Friday! If you’re a blogger, feel free to join in and share five things on your mind this Friday! Everyone have a good weekend!